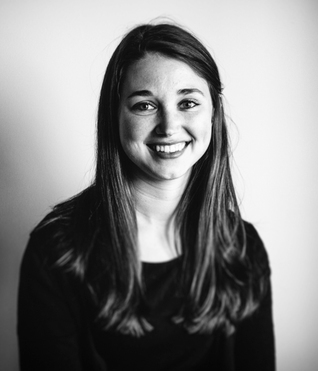 Kybele is pleased to introduce Brianne Kallam as the new program associate for the organization. Brianne will support the Ghana Making Every Baby Count Initiative by monitoring several quality- improvement initiatives at Ridge Regional Hospital and coordinating efforts to expand project activities to four regional hospitals. The following interview illuminates the passion and talent Brianne brings to the Kybele team. What is your academic background, and how did you get interested in this field? After my undergraduate degree in biology from UNC Chapel Hill, I began my career in a laboratory researching HIV. After a few years, it was clear that I had a heart for working with people, so I returned to UNC for my masters in public health, specializing in maternal and child health at the UNC Gillings School of Global Public Health. How did you first get connected with Kybele, and what has your role been since then? I first worked with Kybele as a graduate student research assistant while studying maternal and child health. I started out managing projects aiming to improve the quality of care at Ridge Regional Hospital in Ghana. Upon my graduation in May 2015, I joined the Kybele team full- time as the program associate. My favorite part about my job is maintaining communication with the local staff in Ghana in between field visits. It is such a fast- paced environment that you have to keep up with what is happening! What have been some of the most impactful things you’ve seen in Ghana while working with Kybele? 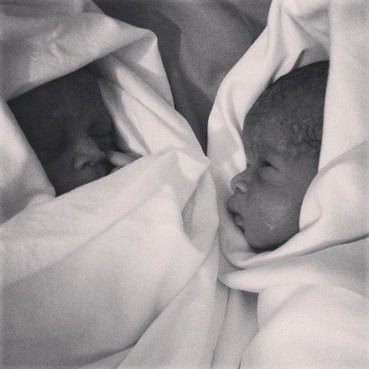 During my first visit to Ghana, I had the privilege of witnessing the birth of twins. It was the first time I had ever seen a birth, and twins made it doubly special. Kybele has made it a point to keep the mother and baby at the center of all of their work, and this delivery made that very evident. Of course, it is important to keep both the mother and baby safe during childbirth, but I was struck by how Kybele is surpassing this expectation by encouraging the local midwives to ensure that mothers are not only safe during childbirth but also have a positive experience. After being present for the delivery of the twins during my field visit to Ghana, I trained to become certified as a doula (a support role during childbirth). I now volunteer at the Women’s Hospital at UNC to provide support to teen and single mothers during labor and delivery. It has been a really neat way to see maternal and child health in action! What do you think Kybele is doing that is bringing about significant change? Kybele goes above and beyond the typical clinical training model. The Kybele team does not just drop in, teach one medical skills course and then leave. They have invested deeply in Ridge Regional Hospital, not only in the care of patients but also in the medical staff. It is this extra effort to build up the staff as leaders and problem solvers that is leading to lasting change.